Throughout my life, poetry’s integration of music and language has given me solace, provoked my passion and offered a haven wherein an alchemy of mind and heart touches the soul. As I age, I’m drawn to the particular beauty and form of Haiku. Its spare, back-to-bone evocations set within precise syllabic frames are consonant with my daily life at present. I, too, am in the process of letting go of the excess and static that inhibit being truly awake to the people and places surrounding me. 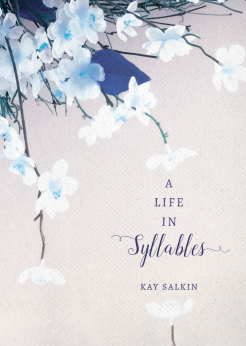 Hopefully, A Life in Syllables will resonate with others who are similarly inclined.